You are looking for an insurance for your yacht or boat to have good coverage regarding liability and fully comprehensive insurance? Then you are right with us. With regard to many years of experience in watercraft and pleasure crafts we are your competent partner in all aspects of watercraft/pleasure craft insurance. Whether you call a boat or a yacht your own, it is important to secure potential risks to prolong the enjoyment of your watercraft. With our BASIC and TOP liability insurances we do offer you the protection you need to protect yourself against third party claims. With our BASIC and TOP insurances we also offer you extensive fully comprehensive insurances for your yacht or boat but also for other vessels (jetski, fishing boat, floating home, ...). Our BASIC cover offers you a fully adequate third-party liability and fully comprehensive insurance. The fully comprehensive insurance is based on a listed risk cover means that all covered risks such as e.g. collision, sinking, burglary etc. are listed. With this BASIC cover you will get a regulation according to the current value of the yacht or the respective building part. This kind of cover is especially suited for older yachts for which our TOP cover is not profitable. Proper all-risks cover at top conditions such as payment for consequential damage, guaranteed fixed tax, no deductions “new for old” and many more. Our TOP cover is the all-round carefree package for demanding clients. 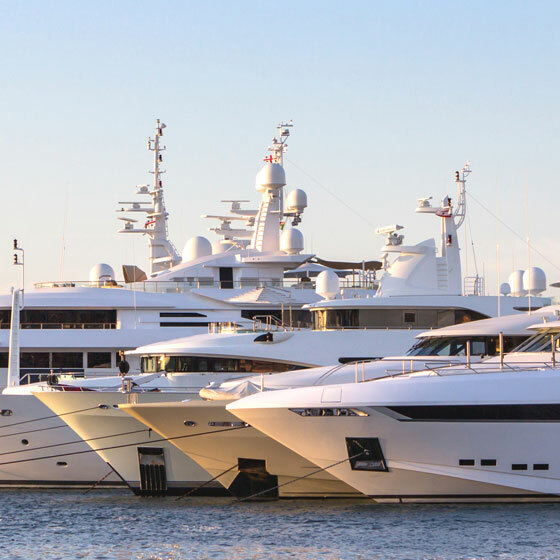 The third-party liability insurance includes a broad cover also for the use of foreign yachts. With its proper all-risks cover the fully comprehensive insurance offers a really wide-ranging product at a guaranteed fixed tax. Be well advised by our water-craft experts about the many advantages of the TOP cover or inform yourself online on our homepage. A The cover applies on land of Europe and to all inland waters, the north and baltic seas (north sea: north to the line formed by bergen/wick, south: to ushant/Landsend), including the entire mediterranean sea (limited by Bosporus, 12 sm from the coast of africa, jordan, israel and syria) and the atlantic coast up to 200 sea miles (excluding north and west of ireland) to the northern boundary of the western sahara (without the 12 sm african coast), including the canary islands within a radius of 200 sea miles. I croatia coastal waters upt to 200 sea miles.